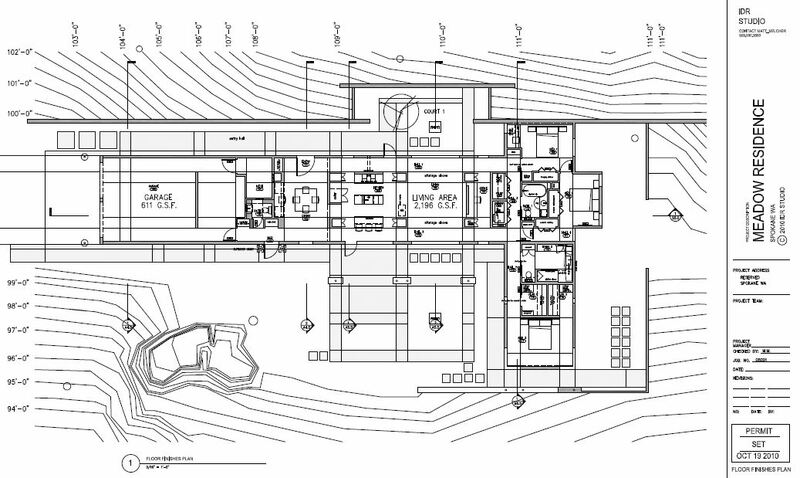 Way back when I wrote about our floorplan. 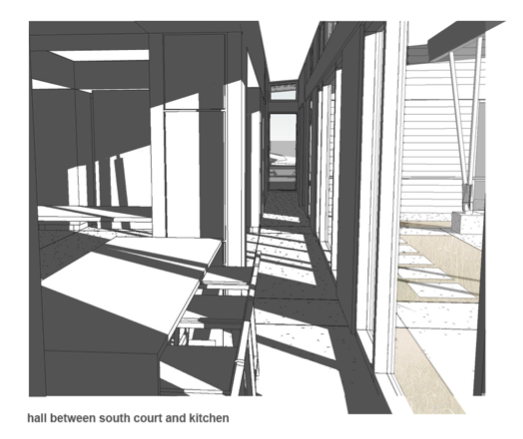 See below, but in the public part of the house–dining, living, kitchen–rooms are defined by a series of storage posts. 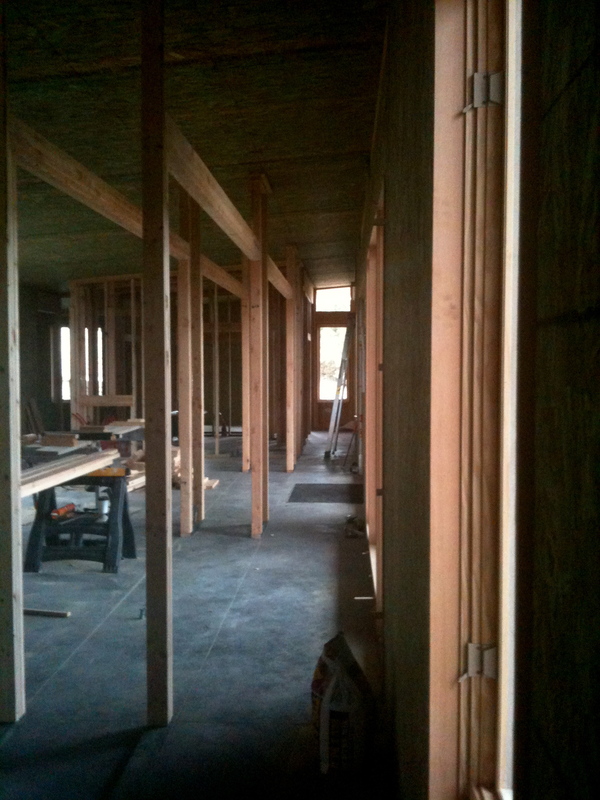 Essentially each room will have four 30″ x 30″ pillars that house cabinetry. These help create the rooms, as well as add functional storage. And storage, I hear, is a good thing. There are a couple of other interesting things that happen as a result of these posts. First, they help create long hallways with beautiful site lines through the house. Also, the posts create a platform for even more storage–housed above the posts on the south side of the house. We’ve been calling these aptly-named storage soffits and plan to build some pretty slick cabinets accessed by a library ladder. Click for the big view. Today Jesse and Scott started framing the living room, kitchen and dining room. They made it through the first three storage posts, and I think tomorrow will work back towards the bedrooms. We’re pretty freaking excited to see this start to come together. By early next week we should have a pretty defined space to walk through. Fun.